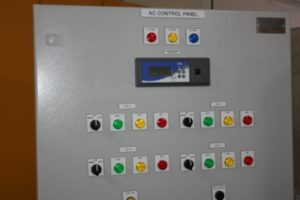 Solution for Air Conditioners’ Operation Sequence Control. 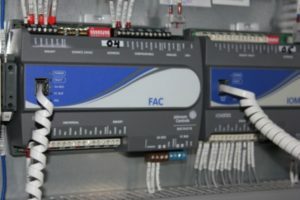 System configuration and instruments are in compliance to Al Ain Distribution Company (AADC) specification requirements. 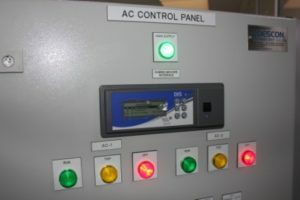 Descon’s solution was carefully designed with the functionality requirements of an AC Sequence Panel. Special feature were embedded in the solution based on DESCON long experience in UAE. 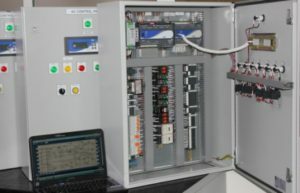 Scope of works consisted of Design, Supply, Testing and Commissioning for a complete AC Sequence Panel. 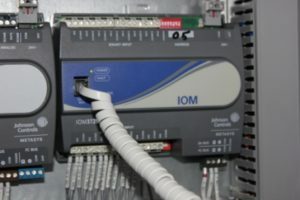 The proposed solution covers entire requirements and it is based on customer provided information along with our experience and the best engineering practice in the field of panel distribution management. 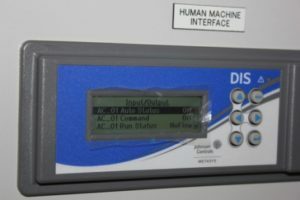 Pictures of the equipment are below.